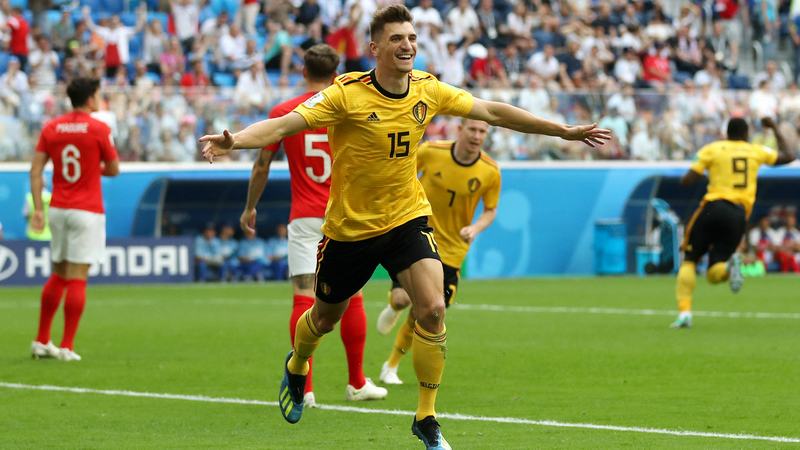 Thomas Meunier and Eden Hazard combined to secure Belgium’s best performance at a World Cup as they edged England 2-0 in the third-place game in St. Petersburg on Saturday. Having fallen one match shy of a maiden final appearance in Tuesday’s slim 1-0 defeat to France, the Red Devils’ vaunted golden generation lifted themselves off the canvass to improve upon the fourth-place finish managed by Enzo Scifo, Jan Ceulemans and company in 1986. Meunier was the unlikely hero early on as his close range finish in the opening exchanges denied England what would have been their best tournament result since lifting the trophy 52 years ago. Belgium’s electrifying start mirrored that which Gareth Southgate’s men had made in their semifinal loss to Croatia, when a Kieran Trippier free-kick in the fifth minute looked likely to book them a second berth on the big stage. But they eventually fell in extra time then and again conceded late in a less pressurized environment this time around, Hazard wrapping up victory — and Belgium’s second tournament win over England — with his third of the campaign in the 82nd minute. Harry Kane’s struggles in the knockout rounds continued but, with Romelu Lukaku unable to add to the four he netted in Group G, should take home England’s only silverware as the likely Golden Boot winner, with Kylian Mbappe and Antoine Griezmann three goals behind Kane’s tally of six. Suspended for the loss to France, Meunier’s return as one of two changes allowed Martinez to revert to his preferred three-man defensive shape. The Paris Saint-Germain wing-back needed just four minutes to illustrate his value, racing into the box to get across Danny Rose and tuck home Nacer Chadli’s classy low cross in from the left. The tournament’s top scorers were fluid going forward and might have been further ahead had Jordan Pickford not clawed away a deflected Kevin De Bruyne finish. Kane should have brought England level 10 minutes later but, from an intelligent Raheem Sterling lay-off, scuffed wide of the left post. Tottenham teammate Toby Alderweireld was similarly wasteful when he hooked over the bar shortly after the half-hour, although Belgium’s only real setback by halftime was the loss of Chadli to an apparent hamstring injury. That feeling when you score for the first time @FIFAWorldCup ! Southgate responded to the deficit by introducing Marcus Rashford and Jesse Lingard in place of Sterling and Danny Rose at the interval. Manchester United midfielder Lingard almost made the desired impact when his drive across goal narrowly evaded captain Kane. At the other end, Lukaku’s heavy touch on the end of a clever De Bruyne pass scuppered the striker’s final chance to close in on his opposite number’s tally, Dries Mertens replacing him on the hour. With a sluggish Kane continuing to misfire, it was left to Eric Dier to go closest equalising 20 minutes from time. The midfielder burst through for a one-on-one and delicately dinked over Courtois, only to see a retreating Alderweireld desperately hack the ball off the line. Everton keeper Pickford, a contender for the team of the tournament, kept his country in the game with a sublime one-handed save from Meunier in the 80th minute. But it mattered little in the end, Hazard making no mistake with his near-post finish having been sent clean through by De Bruyne, the star pair combining to put a fitting seal on Belgium’s impressive showing in Russia.